Easter symbols begin showing up in stores as early as February! But that's okay, because this gives us the opportunity to use them to point our kids as well as others to Jesus! And although many debate the origin of such symbols, we can choose to use them for God's glory. God tells us to teach our children about Him as we go...wherever we are! What better use of the symbols of Easter than to help us do just that! The Easter season is one of the few seasons we'll see the cross displayed in so many places. 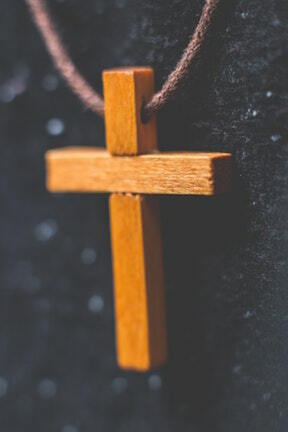 It is the cross that reminds us most of the true reason we celebrate Easter - Jesus! He paid the ultimate price by shedding His blood dying on the cross for our sin. 2 Corinthians 5:21 - "He made Him who knew no sin to be sin on our behalf, so that we might become the righteousness of God in Him." Let's challenge ourselves as well as our kids to keep our eyes open, look for these special Easter symbols, give thanks and point others to Jesus. Become cross-pointers with a fun game of "I spy" the cross and add an extra air of excitement for children. Consider putting something in your child's Easter basket that has a cross - a necklace or backpack charm, a book, etc. 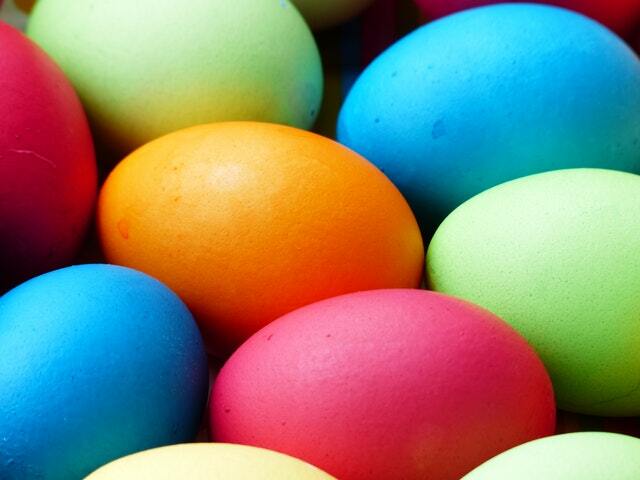 Easter eggs and baby chicks are Easter symbols that point to new life! I love this because looking at an egg reminds me of looking at a rock. I don't see life; it's not moving or breathing...BUT there is life inside a fertilized egg! The potential for a baby chick is real! The potential for New Life in Christ is real too! Eternal life! Abundant life! Hope of more than just what we see! 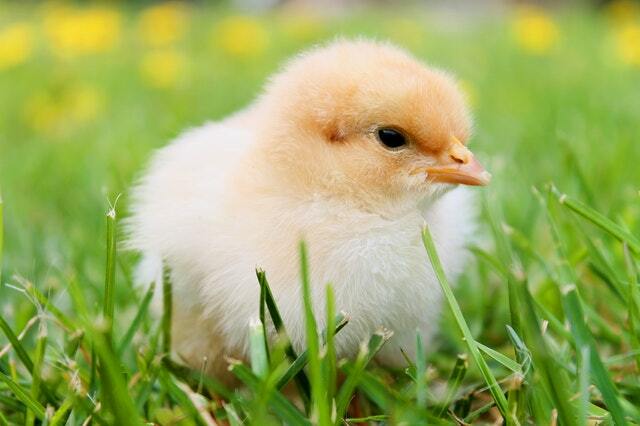 And although baby chicks are cute, they are not grown chickens; there is still a lot of growth to take place. When I look at my own life, I am very thankful God is not finished with me yet! He is still at work - growing me and changing me to be more like Jesus! Philippians 1:6 - "For I am confident of this very thing, that He who began a good work in you will perfect it until the day of Christ Jesus." This Easter look for things that grow and change. Point these out to others and use them as a conversation starter to share Jesus and the hope He can bring into our lives. Consider putting at least one living thing in your child's Easter basket such as a small plant or even seeds that they can watch grown and remember that God is at work in us and all around us! Eggs and chicks point to new life in Christ, but bunnies point to ABUNDANT life! 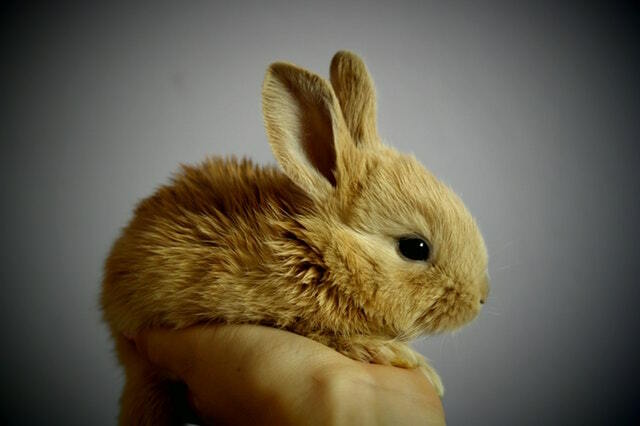 Bunnies are cute and fluffy, but they also reproduce abundantly. Use this thought to talk to kids about how Jesus came to give us eternal life, but also an abundant life here on earth too! "The thief comes only to steal and kill and destroy; I came that they may have life, and have it abundantly." Use Galatians 5:22-23 to point out the fruit of the Spirit and how such fruit gives us a life that is full and abundant! Consider putting a piece of fruit in your child's Easter basket to remind them of the fruit of the Spirit. You may be brave and get your child a small bunny for Easter, but let me warn you...they can be a lot to care for and messy! Yes, we went through two seasons of bunnies with our own kids! Haha! A stuffed toy may be a better option. The lamb is probably one of my favorite Easter symbols. John said of Jesus in John 1:29 - "The next day John saw Jesus coming toward him and said, “Here is the Lamb of God, who takes away the sin of the world!" Jesus gave His life as a sacrifice for all! He was innocent and without sin - the perfect Son of God. We can also point out that Jesus calls us His lambs or sheep if we know Him. He is our Good Shepherd. “I am the good shepherd. The good shepherd lays down his life for the sheep." John 10:14-15 “I am the good shepherd. I know My own sheep, and they know Me, as the Father knows Me, and I know the Father. I lay down My life for the sheep." 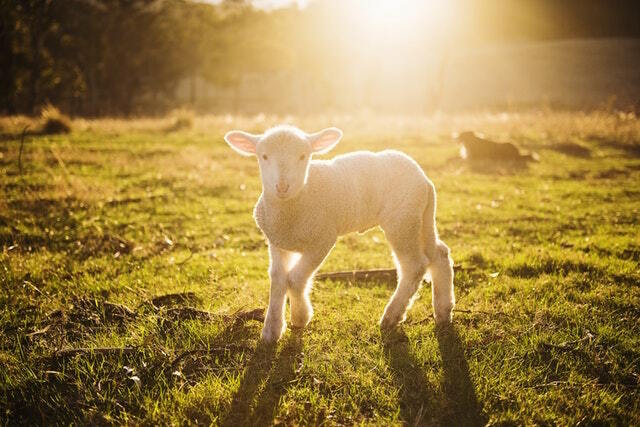 Take time to make a sheep craft or play a game of "Follow My Voice" to remind children of Jesus being the Lamb of God and the sacrifice for our sin as He gave us His life. "Follow My Voice" Game - Either blindfold kids or trust them to close their eyes. Then use different levels of your voice (whisper, talk, shout, etc.) and have them follow you or find you. Encourage them to listen for God's voice in their lives. Remind them that we know someone's voice better when we spend time with them listening to them often. We learn to hear God's voice by reading and learning His Word, the Bible. Consider putting something soft in your child's Easter basket, possibly made from wool - socks, scarf, mittens, etc. Easter symbols are reminders. Let's open our eyes and not only let ourselves be reminded of all Jesus has done for us, but let us also remind others by sharing His love and sacrifice with them through the Easter story, our story, and Easter symbols.